Truvia is the latest in a long line of no-calorie sweeteners, but this one is different; it's made from stevia, an herb used throughout South America for centuries. This new sweetener eliminates the licorice-like aftertaste that many people dislike. LoveToKnow spoke with Tara Gidus, MS, RD, CSSD, LD/N about this new product. Tara's background includes being a nationally recognized expert and spokesperson on nutrition, fitness, and health promotion. 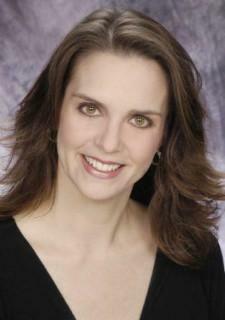 She's the past National Media Spokesperson for the American Dietetic Association. She currently appears biweekly as the "Diet Diva" on the national morning television show, The Daily Buzz. Tara is currently the team dietitian for the Orlando Magic NBA team. She is also the nutrition advisor for Golf Fitness magazine and American Baby magazine. She helps senior executives from Fortune 100 companies manage their energy in her role as a nutrition performance coach at the Human Performance Insitute. Tara took a few moments to answer questions on this new no-calorie sweetener. Truvia is a natural, zero calorie sweetener made from the best tasting parts of the stevia plant called rebiana. This natural sweetener is different from stevia used in dietary supplements because it uses highly purified rebiana, which is the best tasting part of the leaf. It gives the best product and does not have the licorice or bitter aftertaste. Other stevia sweeteners use crude extracts from stevia. Rebiana has been given the Generally Recognized as Safe (GRAS) designation from the Food and Drug Administration (FDA) for use as a food ingredient. This opened the door to be able to use Truvia in foods, not just as a tabletop sweetener in packet form. What Is the Difference Between This Product and Splenda? Splenda is classified as an artificial sweetener, not a natural sweetener. Splenda starts with sugar and replaces 3 hydrogen-oxygen atoms with 3 chlorine atoms instead of simply saying it is made from sugar. Truvia is actually made from a plant (Stevia plant) and the sweet components are extracted out of the plant which grows naturally. How Can It Have Zero Calories? It does not provide any calories to the body and does not affect blood sugar or glycemic index. The body does not get any caloric value from it. Rebiana does have some calories, but it is so intensely sweet that the amount used in it is so low that is contributes no calories. It also contains erythritol, which is a naturally occurring sugar alcohol. Erythritol does contribute 3 grams of carbohydrate on the food label. However, erythritol passes through the body without being broken down for calories. As a result, it also has no effect on blood sugar. Truvia sweetens without bitter aftertaste. Can this Sweetener Be Used in Baking and Recipes? Truvia works great in cooking and recipes. Twelve packets can replace ½ cup of sugar in a recipe. The company does recommend either following the recipes on www.truvia.com or to start with replacing half of the sugar with it in your favorite recipes. You can replace more if you want but experimenting is best for a good end result. Clinical studies have shown that daily consumption of rebiana (the sweet component from the stevia plant) did not affect blood sugar after 16 weeks and does not affect the glycemic index. The 3 grams of carbohydrate comes from the erythritol which is not broken down for calories and does not affect blood sugar. Truvia does not affect the glycemic index. Depending on their healthcare provider's recommendations, diabetics may be able to use it. Next, we asked Tara to share the research behind the product. The best resource is a journal called Food and Chemical Toxicology from July 2008. The entire supplement 7S to volume 46 is devoted to the safety of rebiana, the component of the stevia plant. Numerous other research studies have proven the safety of erythritol, the other ingredient. Lastly, we asked for suggestions for dieters to use this product as part of their weight loss strategy. Dieters can use Truvia natural sweetener in the place of sugar to reduce calories in their diet. It's also available in packets for use at the table or in cooking. So you can add it to your beverages, sprinkle it on cereal, or incorporate it into a recipe. You will also find it in numerous foods like Breyer's Yo Crunch 100 calorie pack yogurt, Sprite Green, Nature's Splash beverage sticks, All Sport Naturally Zero, Blue Sky Free Soda, True Lemon Naturally Sweet, VitaminWater 10, Hansen's Natural Lo-Cal Juice, Minute Maid Enhanced Pomegranate Flavored Tea, and Odwalla drinks. More products are expected on store shelves soon! Whatever sweetener you choose comes down to personal choice. 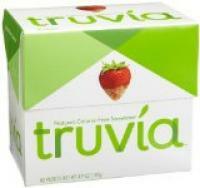 Truvia is an excellent option for a great tasting, natural, zero calorie sweetener for people looking for that option. LoveToKnow wishes to thank Tara for the interview. For more information, please visit the Truvia website. For more information about Tara Gidus, please visit The Diet Diva.